Rice, beans, peppers and tomatoes in a spicy southwest style cheese sauce. Treat yourself to one of the Velveeta Cheesy Bowls! Made with pasta, real meat, premium seasonings and the Liquid Gold of Velveeta Cheese Sauce. 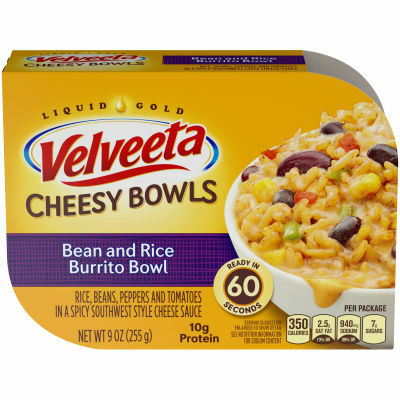 Enjoy the one of a kind taste of Velveeta in a microwaveable single serve dish!